The Poor Stockinger, The Luddite Cropper and the Deluded Followers of Joanna Southcott is a new film from artist Luke Fowler, recently shortlisted for the Turner Prize. Fowler’s film is inspired by the life of the critic, historian and activist E.P. Thompson and is showing at The Hepworth Wakefield. It focuses on Thompson’s early years at the University of Leeds to his longstanding commitment to the Workers’ Education Association (WEA) in the West Riding of Yorkshire, teaching classes in literature and history to miners, factory workers and the unemployed. The film explores the issues that were at stake for educationalists at that time, a struggle that resonates today within the current market-led higher education system. 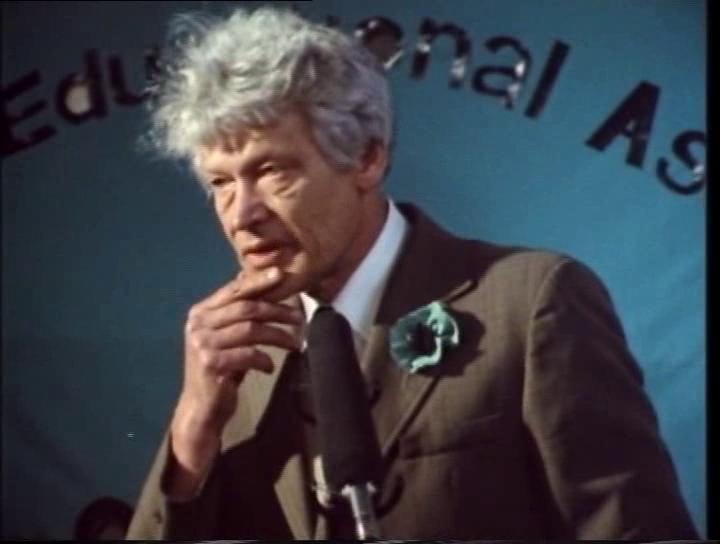 Many, like Thompson, wanted to use teaching to create ‘revolutionaries’ and pursue the original WEA values of delivering a ‘socially purposeful’ education for working class communities. This was opposed by those within the Department who wished to foster students with an ‘objective’, ‘calm’ and ‘tolerant’ attitude. The film centres on this argument, set out by Thompson in an internally circulated document entitled ‘Against University Standards’ (1950). 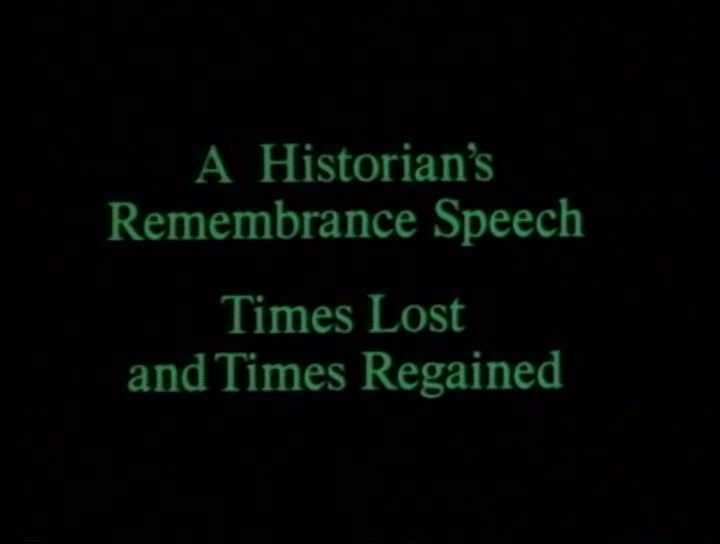 In the Poor Stockinger, Fowler integrates footage of a speech by E.P Thompson from Marc Karlin’s For Memory (1982). Similarly, Marc Karlin was keen to explore the theme of memory; how it is preserved and handed on, and how dissident recollections are blocked and contained. 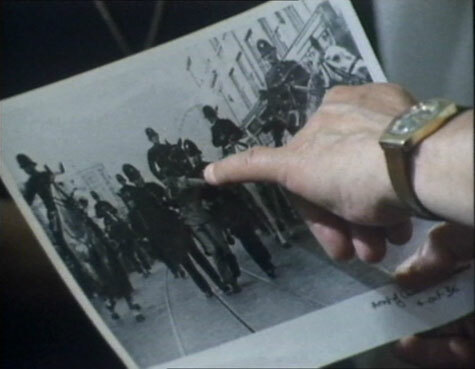 The non-conforming voices in For Memory (1982) consist of anti-fascist fighters at Cable Street and Clay Cross miners. E.P Thompson’s segment in For Memory is filmed at Burford Church, giving a lecture on three Levellers who were shot there in the 17th Century for refusing to fight for Cromwell’s New Model Army campaign in Ireland. Karlin recalls, ‘I can’t give you a reason why I felt the whole thing was somehow tottering, about to roll. What is funny is that when Edward Thompson is speaking there is a green banner behind him. He talks about rosemary being the flower of remembrance, at that point suddenly the green banner collapses. A unique left thing, we are never able to pin up anything properly. Everything’s fragile, unless you store it, keep it and communicate it’. The Poor Stockinger, The Luddite Cropper and the Deluded Followers of Joanna Southcott is now screening at The Hepworth Wakefield until 14th October. 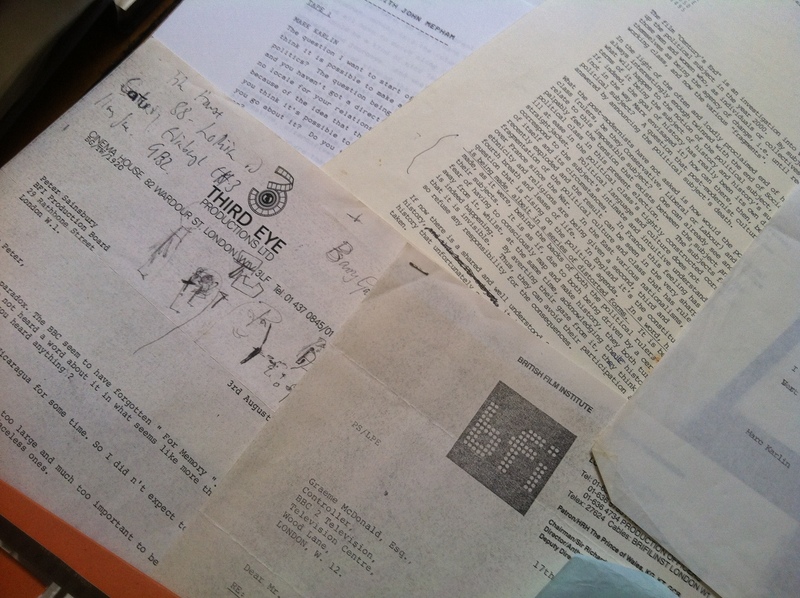 For Memory (originally TV and Memory) was a co-production between the BFI and the BBC. Marc Karlin started writing it in 1975, shot it between 1977 and 1978 and concluded editing in 1982. Ironically, a film about TV and Memory was forgotten. It remained neglected until the BBC finally broadcast the film in a sleepy afternoon slot in March 1986. For Memory is a contemplation on cultural amnesia. Karlin, with his cinematographer Jonathan Bloom, built a model city in a studio. The camera snakes around the imagery city, seeking out fragile testimonies from voices that fail to conform to a collective history. It is an essay on a city that forgets and remembers, and how it forgets and how it remembers. Historians E.P Thompson and Cliff Williams, anti-fascist activist Charlie Goodman and Alzheimer sufferers deliver banished memories from outside the city’s bounds. The film opens with an emotional interview with the members of the British Army Film Unit recalling the images they recorded after the liberation of the Belsen Concentration Camp. Karlin wrote For Memory as a reaction to Holocaust, Hollywood’s serialisation of the genocide. He asks: how could a documentary photograph die so soon and be taken over by a fiction? The Q&A is chaired by Holly Aylett, documentary filmmaker, lecturer and cultural sector director, Luke Fowler, a Glasgow based artist and filmmaker, and Sheila Rowbotham, Writer in Residence at the Eccles Centre for American studies in the British Library. Picture This presents Marc Karlin, Roundtable discussion. This month Picture This, in association with the research project “In the Spirit of Marc Karlin”, held an exhibition and screening programme focusing on the work of British filmmaker Marc Karlin (1943-99). Marc Karlin is an important but neglected figure within the British film avant-garde of the 1970s, 80s and 90s. Arnolfini, hosted a weekend of screenings and talks which began with the seminal, Nightcleaners (1974). Shot in black and white, and punctuated with sections of black leader, Nightcleaners fuses political documentary with a rigorous reflection on the materiality of film and the problems of representing struggle. 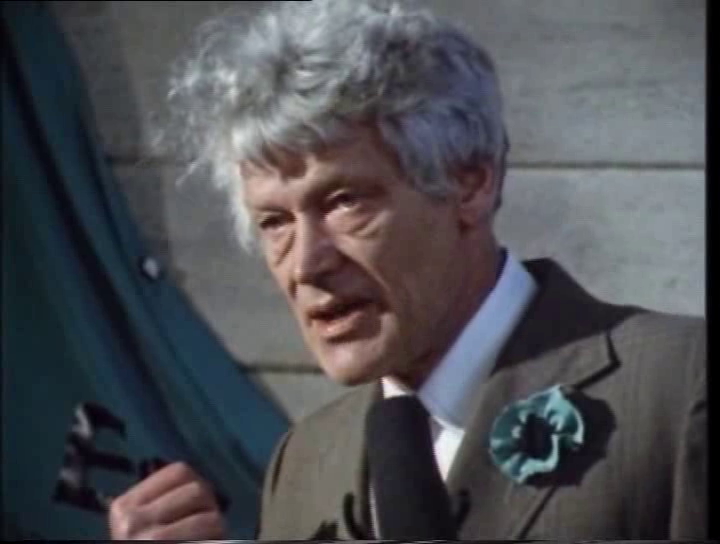 The programme continued with three films that Karlin made for television in the 1980s and 90s. For Memory (1986), features E.P. Thompson, and explores historical memory, Between Times (1993) looks at the fate of the British Left in the wake of Thatcherism, and The Serpent (1997) is a drama-documentary about Rupert Murdoch told through the lens of Milton’s Paradise Lost. Each film brilliantly captures the mood of the left in Britain through the 80s and 90s, whilst the aesthetic and political issues, and questions, they raise remain relevant and urgent. The weekend ended with a round table discussion with contributors Holly Aylett, Jonathan Bloom, Kodwo Eshun, Luke Fowler, Andy Robson, Sheila Rowbotham, Steve Sprung and hosted by Dan Kidner.Picture This presents Marc Karlin, Roundtable discussion. The audio from the weekend’s Q&As will soon be up.